Microsatellite instability (MSI) frequency in pediatric high-grade glioma remains a controversial research topic, and there is lack of clarity in the literature. Overall, it has been shown that MSI-positivity in adult high-grade glioma is a rare event, whereas in pediatric tumors reported frequencies are highly variable, probably due to the lack of consistency in the screening strategies. Furthermore, in contrast to colorectal MSI-positive tumors that harbor Type B MSI, high-grade gliomas have been reported as presenting Type A MSI, increasing the difficulty of an accurate analysis. 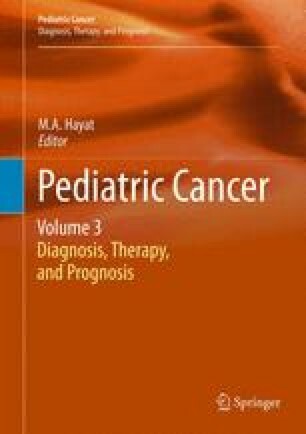 In this chapter, we will review the type of MSI mostly found in pediatric high-grade gliomas and the distinct approaches to detect it, the role of the mismatch repair system (MMR) in these tumors, as well as the relation of MSI with other genomic abnormalities and the frequency of MSI target genes mutations.